Your wedding isn’t just a two-person affair between you and your spouse; it’s a celebration where family and friends fly in from different places to gather together and witness your love and marriage. Therefore, you’ll want your wedding to be an enjoyable time for everyone. 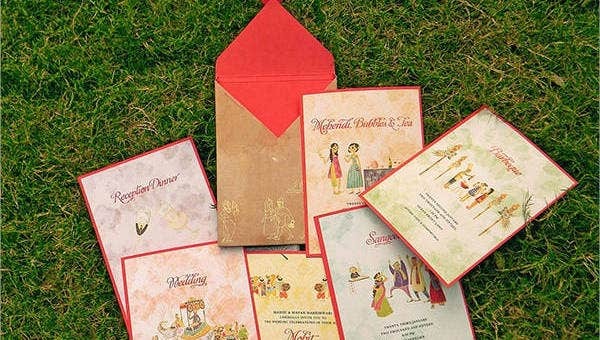 The wedding program does that: it makes sure that everything—your guests’ experience, from food to games to conversations—will be a pleasant and memorable. 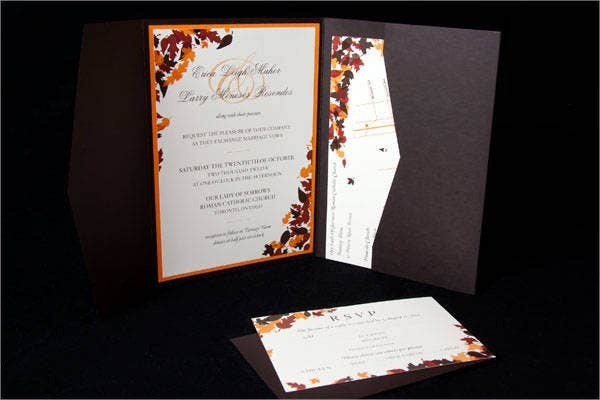 You’ll then be needing a neatly and thoughtfully organized wedding program. Well, you’ve come to the right place. 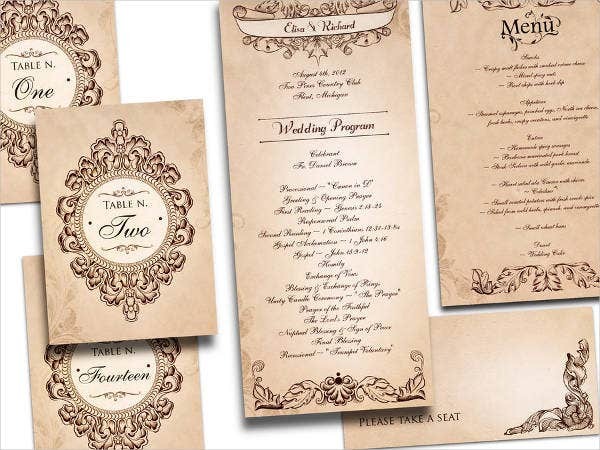 Here we present you with free wedding program templates that are not only beautifully and elegantly designed but will cater to whatever theme/motif you’re having. Whether you’re having a small wedding or a grandiose one, it is important and proper to let your guests know what to expect. 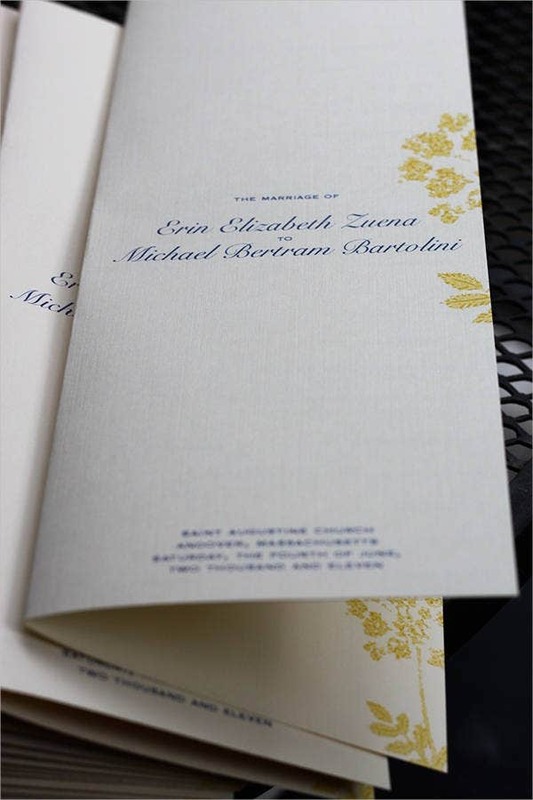 Done right, the wedding program can be a special memento for both you and your guests. 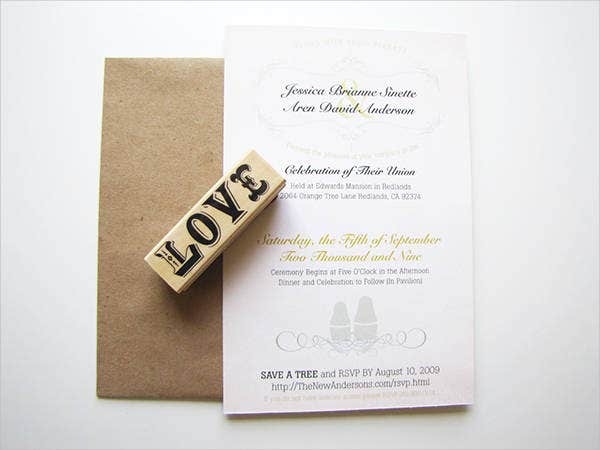 Take some needed ideas from our wedding ceremony program templates to get started on making this important time in your a life a pleasurable and fun event for your special guests. You can make the program cover as flamboyant or as minimalist as you want. 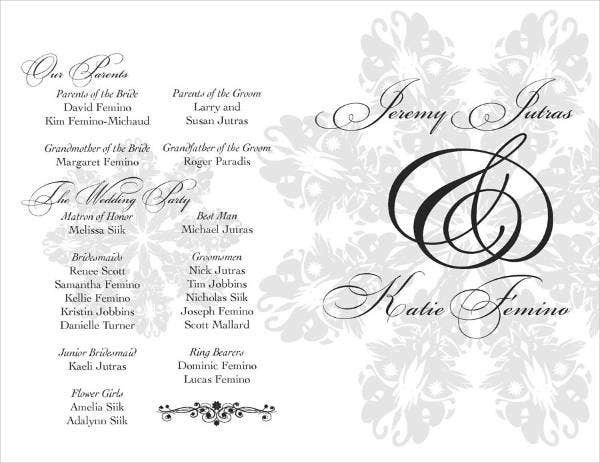 This part of the wedding program usually just contains the names of the couple. Some also include the date and time of the ceremony and the venue. If you’re the adventurous type and planning a themed wedding, the program cover is the best way to communicate this to your guests. 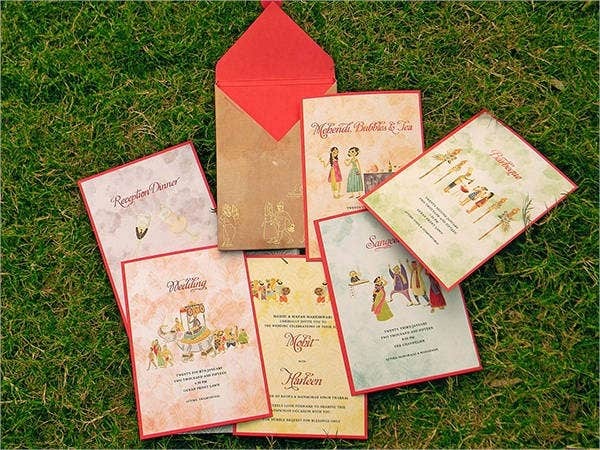 Most wedding programs include a list of the wedding entourage. How many names to put in will depend on the kind of ceremony you’re having. If you’re having a simple ceremony, it will include the names of your parents, the best man, maid of honor, bridesmaids, groomsmen, flower girls. If you’re having a Catholic wedding, this party will include the principal and secondary sponsors, mass readers, the rings, coins, and Bible bearers. 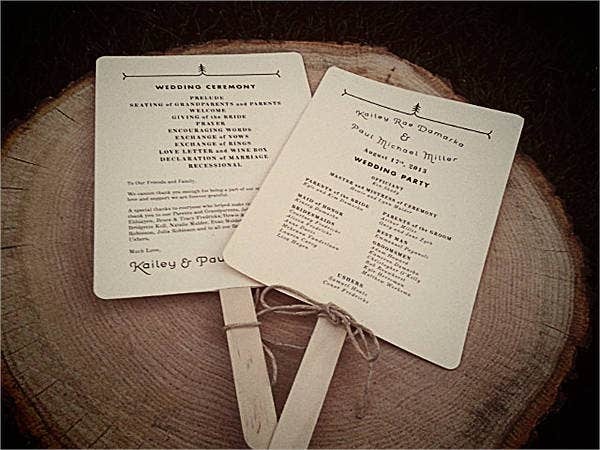 You’ll also want to give your guests the list of food items they will be enjoying. Ideally, you will have solicited information on who’s allergic on what. You wouldn’t want to serve shrimp cocktails when half of your guests are allergic to shellfish. It’s also a good idea to serve a full course and varied meal to your guests, with at least an appetizer, a main course, and dessert. 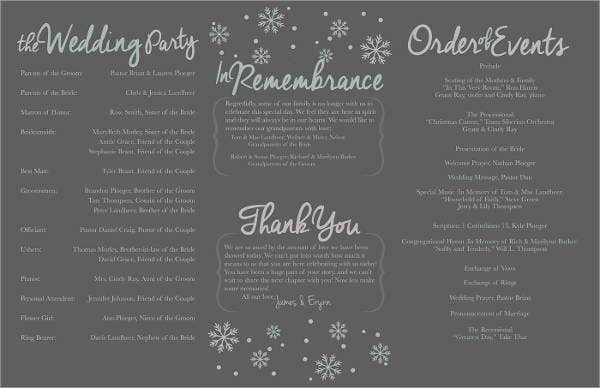 A great wedding program includes an order of events. You’ll need to be really detailed on this one so your guests form proper expectations of the reception. Most wedding events start with a prelude, the seating, the processional, and from there, the events vary from wedding to wedding. It can be followed by a prayer, then the partaking of the meal, or a round of speeches, then the prayer, and then the meal. Most all wedding events end with a recessional song. 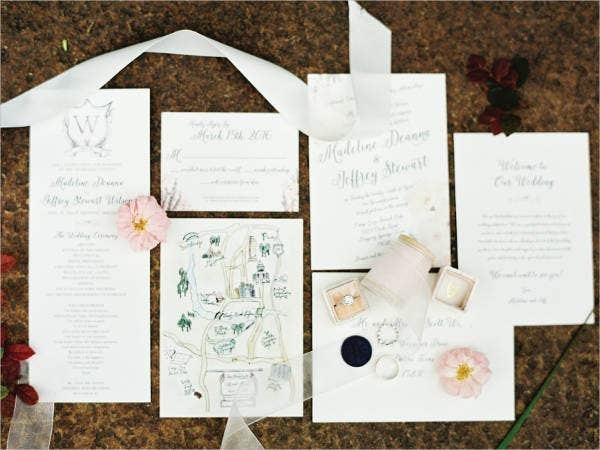 Save yourself the additional trouble of designing a new wedding program when you can simply download one of our printable wedding program templates for free! 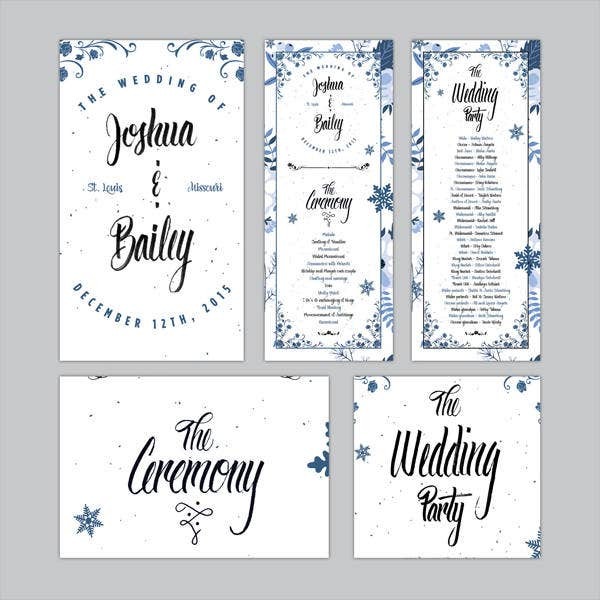 These were created by professional graphic artists, so you can be sure that you’ll have the elegant, beautiful wedding program you have always imagined. These templates are available in PSD, Vector AI, EPS formats, so editing them to match your theme or motif should be a breeze. And with the assortment of the designs we have compiled for you, you’re sure to find something that suits your taste and theme.